Talking to the movie directors about the inspiration and creation for their work is seriously the COOLEST experience. We had the chance to sit down with the very seasoned duo of Disney Directors, Byron Howard and Rich Moore about their latest flick, Zootopia, hitting theaters this Friday March 4th. 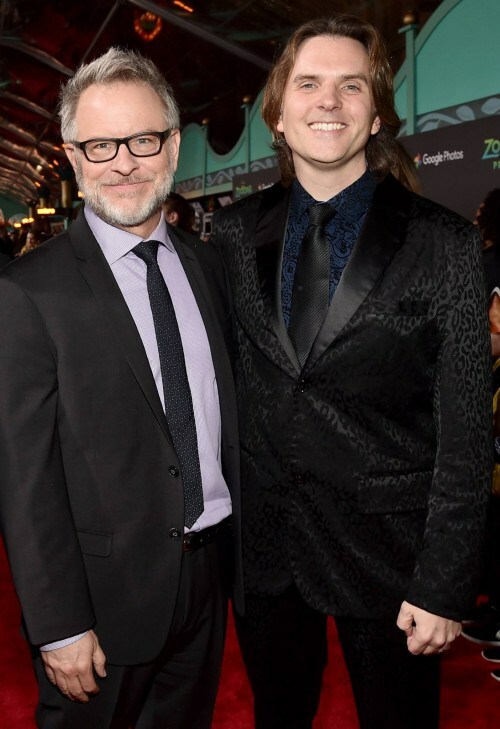 These talented guys are BEYOND passionate about their work and it’s so inspiring to hear their passion as they both shared their experience making Zootopia from start to finish. Both directors were oozing with enthusiasm and it was thrilling to get backyard on the creation of the movie, character development and even the voice cast decisions — like how they were able to get Kristen Bell to play a Sloth! 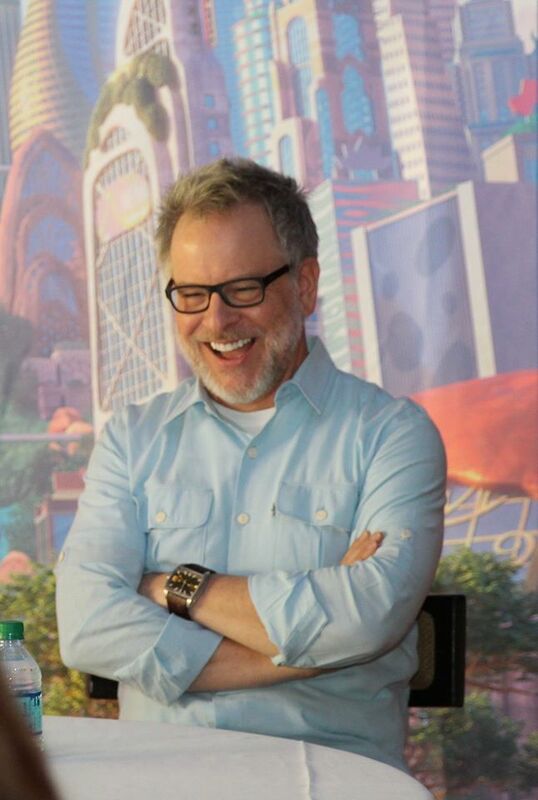 Check out my Inside Scoop Chatting with Zootopia Directors Byron Howard and Rich Moore. And bonus – both directors are past Oscar nominees. Byron was nominated for BOLT, and directed “Tangled” another hit movie, while Rich directed “Wreck It Ralph.” Love it! We chatted about how the filmmakets came full circle with the original animal research for the movie starting at Animal Kingdom and now hosting the press event back where they started – as we asked, what is the experience like to know that you came here in the beginning and you’re finishing up here? BH: It’s a lot like a bookend. ‘Cause this is the circle of life. It all works out, right? I finally understand it now. RM: That was very on theme. They started their research on animals in Florida at Animal Kingdom and learned a ton. But John Lassiter told them next up they needed to go to REAL Africa for serious research! RM: And we took 14 of our leadership over there. And I — it was one — a good compliment for this place is that we — when welanded in, uh, the Savannah of Africa we stepped out of these tiny bush planes. It felt like this. They did such a good job here in turning Florida into Africa! BH: Africa was a life changing experience for us all. I think all of us came back honestly changed. We’re very fortunate with these jobs because they send us on terrific places all over Asia and Europe and South America. But Africa I — for me, I had never been any place that kinda changed you down to your core. Because you’re stepping into an environment that has been the same for 40,000 years. And you’re — I’d on — I’d only been zoos where I’d seen like two zebra at a time. And then just, you know, 30 feet away from us were 200 zebra. Or 50,000 wildebeest. 100,000 wildebeest. And- and being as close to lions as- as we are to you guys in the front row. And just to see nature, like full on nature right there. Uh, it really made us feel like, okay, if we’re gonna do this movie, we’re gonna do it right. And we came home just full of all this information and this great passion, uh- uh, for what we’re gonna create with, uh, Zootopia. And I think that’s why the crew dug in so much. We geeked out on the — all this stuff. And it came across, uh, in the film because ev –- all our crew cared so much. We all wondered how they determined which animals would play which role and just how difficult it was to anthropomorphize various characters in the animal kingdom…..
BH: There were a lot of them that were challenging. Even the — Judy’s landlord, who’s an armadillo. It was a question of how does that character get her clothes on? Over the shell? RM: Did it have to go over the shell? Does it go over the hell? Does she just kinda look like a strange hunchback? How About those Sloths in Zootopia ? And how Kristen Bell was hired to voice a sloth! BH: Well, we had a few story sessions where we were thinking like, well, what- what would be — what would be good jobs, you know, for animals— and, you know, should we go against type for some? Or some — should some be very kinda on the nose? And, you know, and our head of story, Jim Reardon, kinda threw out this idea. Well, how about sloths working for DMV? This scene is simply one of the funniest in the movie! We can all commisserate with the pain of dealing with the slowness of the DMV and dread when it comes time to renew your driver’s license and waste countless hours trying to do so! And nothing is slower than a Sloth! Ha ha ha! BH: I know the DMV. You know, I — that’s happened to me. And then also we- we wondered, well, is this universal like around the world? Do they have like the DMV? Do they have any thing like it? And I am happy to report the frustration with red tape and bureaucracy is well known everywhere. The directors told us when watching the film around the world, even in Belgium, parents totally related to this joke! After hearing how Kristen Bell loved sloths and seeing her break down about them on the Ellen show, the directors thought it would be fab to have her play a sloth. But they just didn’t know HOW to ask someone as famous as like Kristen Bell to only voice 1-2 lines in a film…… So they debated for hours over it! They loved relaying the story of how they finally got her to take the gig and the joy of her saying yes! BH: And Jamie said, why don’t I just text her? Right now. You know, it’s like, I’m- I know her. You know? Forget this, what — we’re- we’re- we’re going about this the wrong — let me text her. Let me ask her. And- and she literally kind of, you know,Kristen, would you like to play a sloth that has one line in the movie? And, uh, and then five minutes later — as we got talking about something else – Jamie said, oh, by the way, Kristen just texted back. She’s in. It was really cool to hear just how the idea for a new animated movie develops. Did you know they start with MANY ideas for movie before they get to the story they ultimately will tell! BH: John Lassiter’s suggestion is not to put all your eggs in one basket. Not to just pitch one idea. ‘Cause I think hewants to find out who you are as a filmmaker. So, he wants tofind out what you’re passionate about. And, so, most filmmakers, will kinda come in with like three, four, five ideas. BH: After we finished Tangled, we pitched the beginnings of what this movie became. And we had about six ideas and the one thing that almost all these ideas had in common — was animals! - One was a space movie. It was called Pug, The Bounty Hunter, that had a space rabbit. Rabbit in a space suit. - One was called The Island Of Dr. Meow. Which was a sort of cheesy B movie version — like a Roger Korman film, if you knowwhat those are, from the 1960s. Where there kind of teenagers went to this island and there was this six-foot tall cat thatwas turning these people into animals. BH: It’s all true. And, uh, and I think that it — because we hadn’t done one of these films in a long time. We have a great legacy of these films. You know, when — Robin Hood was one of my favorites. His favorite was Wind In The Willows. Rich grew up on Jungle Book. Get Social with ZOOTOPIA: Facebook, Twitter, Instagram, Tumblr, and Official Website! 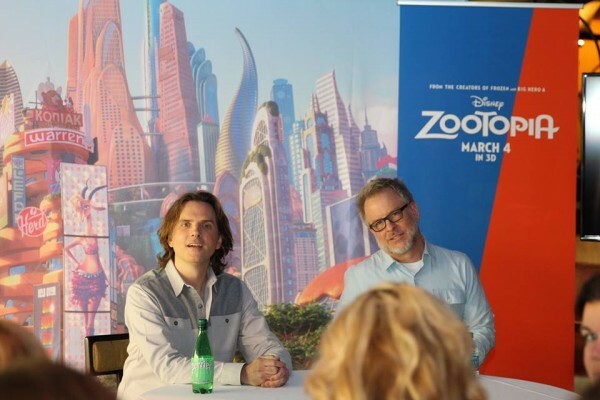 Thanks to Walt Disney Animation Studios for inviting me to attend the Zootopia press junket and covering my travel expenses. As always, all thoughts and opinions are our own.